The recent international explosion of the Occupy Movement is an ongoing series of demonstrations that were started in New York City in the Wall Street financial district. The movement is mainly protesting social and economic inequality, corporate greed, government corruption and corporate influence over government. 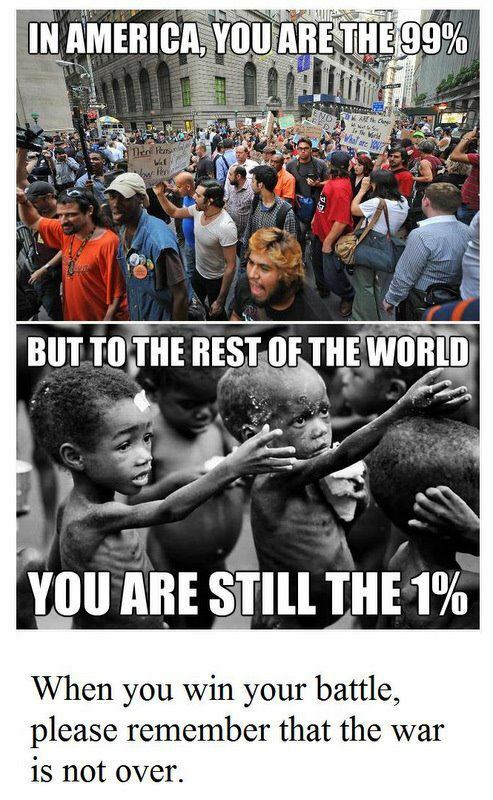 The movements slogan, “We are the 99%”, refers to the difference in wealth in the U.S. between the wealthiest 1% and the rest of the population. While Indigenous People around the Globe can identify with the Occupy Movement it’s our world view and Institutions as Indigenous Nations that conflict with the global elite and these wealthy developed countries where we have always been united as a collective movement defending our territories, rights and people from this common enemy, some more extreme as others. As Indigenous People of Turtle Island who are actively involved in our “Indigenous Resurgence Movement” where we have many allies in other movements and identify with other struggles we must ask ourselves some key questions before we assimilate within another movement or attempt to “decolonize” another. • If we want to be respected as Sovereign Nations and follow fundamental Nation to Nation Agreements such as the Two Row Wampum and Covenant Chain where we are Allies and not subjects or citizens of another Country are we breaching these laws when we attempt to change another Peoples way of governing themselves? Are we then stepping into another Nations vessel and attempting to change its direction? We must not confuse creating alliances and including our concerns with this movement with assimilating into another Nation through this Globalized Activism. Although we have the same enemy we are not trying to reform and change our own Institutions that we are trying to revive nor are we trying to colonize other Nations way of life. The Occupy Movement represents the voice of the oppressed people living in a global system and governance structure in various countries and it is their capitalist, consumerist ideals that is not working for all earths peoples. Left Colorblindness: “Left colorblindness is the belief that race is a “divisive” issue among the 99%, so we should instead focus on problems that “everyone” shares. According to this argument, the movement is for everyone, and people of color should join it rather than attack it. “Left colorblindness” claims to be inclusive, but it is actually just another way to keep whites’ interests at the forefront. If the “privileged” majority of the so called 99% begin to exploit this movement like everything else they exploit on this globe maybe they are justified in doing so because this is actually something they own, they are the cause of most of these Global Issues. So obviously they need to own this movement because it is a part of their own decolonization process as a people. If we look at our shared history, revolution is inevitable in achieving freedom. When the ancestors of Canada and the U.S.A came upon our shores looking for freedom from their Oppressive Imperialist Societies they found it through us and without the help of our Indigenous Nations they could not have achieved freedom. The freedom that they do gain only seems to be for a short while where they create a new society which seems to always be consumed by the same old enemy, themselves. In the French and Indian Wars, American Revolution, War of 1812 and the countless wars we have been involved with where our People had to take up arms to defend our way of life we have created alliances with those citizens who were fighting for their freedom from their colonial oppressors. Though this is a common war against a common enemy we must remember that we are our own Indigenous Nations and through manipulation of making this a “colorblind everyone” war we must not be fooled into becoming their subjects in whatever new society that will be created, we must learn for our past. The best thing we as Indigenous Peoples can do is continue doing what we have always been doing, upholding our end of the covenant chain or take back what is ours. Occupy Stolen Lands: Some of our Indigenous Peoples participation within this movement is trying to get our concerns heard and asking the colonizer to respect our distinct issues. I choose to participate in this as an ally on our own turf by upholding our end of the Covenant Chain exercising our Rights and asserting our Indigenous Sovereignty and reviving our Indigenous Institutions by any means necessary. The very abandonment of these fundamental Nation to Nation agreements by Canada and the U.S can be seen as a renege to our established peace and treaties which is also a disengagement of their established legitimacy within our Continent. In any circumstance we need assert these agreements for all that they encompass or occupy our traditional territories and bring the economy to a halt and taking control back of our resources. I feel before we commit to an alliance and make significant changes alongside this movement we need to allow them to first decolonize or else we can expect to live through the same colonial patterns of the past which is so a part of their track record and actions. (I do have issue with the image they choose to use for this article.. because ti renforces a colonial and whitesupremacist attitude, that indigenouse Africans have no agency) but the message shared is right on the money. I respectfully sugest that the bottom image be changed. You can find lots of images of Africans taking charge, protesting.. or jstu being the change that they want to see in this world. In that way you would have made your point, without contributing to the oppression of other indigenouse peoples. Thanks for the feedback Ifo and you raise a strong point. I’d suggest you repost your comment on ACTION’s page for this article (link is at the top of the article). I agree that the image could reinforce colonialist attitudes towards African people, but it would be dishonest to change it since we’re not the authors of the post. Personally, I agree a better image could be chosen and if they modify the original we will of course update our reposting accordingly.